Among numerous accolades, 1992’s Images & Words received a gold certification and landed on Rolling Stone’s coveted “100 Greatest Metal Albums of All-Time.”Meanwhile, Guitar Worldplaced Awakeat #1 on “Superunknown: 50 Iconic Albums That Defined 1994.” Excerpts of 1996’s A Change of Seasonsnotably soundtracked NBC’s coverage of Downhill Skiing at the 2002 Winter Olympics. Fans voted the 1999 Metropolis Pt. 2: Scenes from a Memorythe “Number One All-Time Progressive Rock Album”in a 2012 Rolling Stonepoll. Not to mention, it ranked as the “15thGreatest Concept Album”by Classic Rock. In addition to releasing three platinum videos and two gold videos, the group would be inducted into the Long Island Music Hall of Fame in 2010. On its 14thfull-length and first release for InsideOutMusic / Sony Music, Distance Over Time, the band recharge the brotherhood that has kept them creating music together for over 30 years. For the first time in two decades, the bandmates lived, wrote and recorded together over a four-month period at the secluded, five-acre Yonderbarn studios in Monticello, NY. They all moved into the property’s country-house where they shared memories, took turns manning the BBQ and fortifying lifelong friendships as the music happened organically and spontaneously throughout the summer in the beautifully converted barn only footsteps away. Album opener “Untethered Angel” commences with ominous clean guitar before ramping up into a hypnotic and hard-hitting riff that gives way to a sweeping and soaring hook. Heavily employing Hammond X5, Rudess locks into an “organ-and-guitar”call-and-response with Petrucci, evoking classic prog while charting new territory all the same. The ten-minute “At Wit’s End” swings from sharp shredding into a thick groove as LaBrie paints an intense portrait of the aftermath of abuse. “Barstool Warrior” offers up an intimate slice of small town lore with cinematic lyrics as “Out of Reach” sees the band stretch its wings with a poetic ballad with lyrics penned by LaBrie. The haunting and maddening “Room 137” marks the first time Mangini contributed lyrics to a Dream Theater song, while everything culminates on the epic-sounding “Pale Blue Dot,” which “highlights Carl Sagan’s meaningful reflection on humankind’s fleeting nature and our responsibility to deal more kindly with one another and to cherish the ‘Pale Blue Dot’ which is Earth.”as Petrucci puts it. 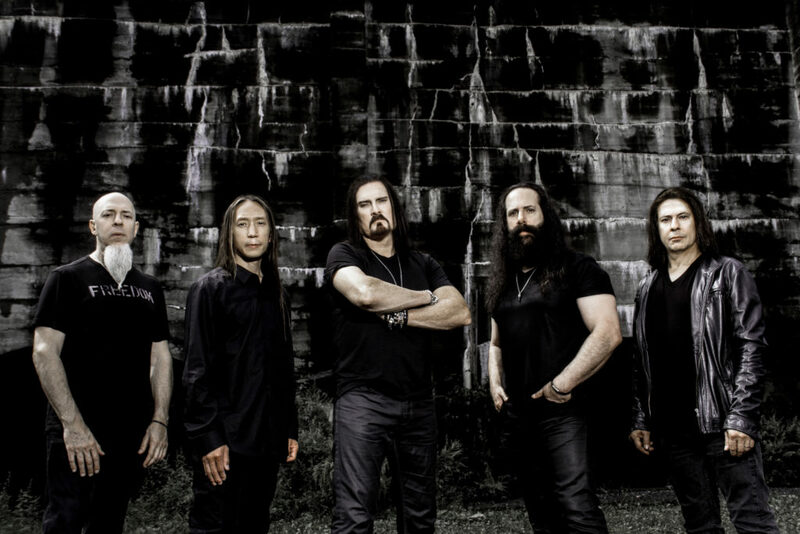 In the end, the union between Dream Theater stands at its strongest on Distance Over Time—as does the music.